I wanted to do a post on waiting on a debut because I myself am waiting on my debut and wanted both commiseration and consolation. For me, now at about twenty days away, there are times when it still doesn’t feel real. I wanted to know how others were dealing with the wait and how others have survived the wait. (Check back later this week for advice from those who survived their debuts.) I’m so grateful that two lovely and incredible writers, Dahlia Adler and Jaye Robin Brown, agreed to let us in on just how they are surviving that wait. When did it feel real? Dahlia: This is horrible to say, but the thing that really made it hit home for me was seeing it on Goodreads and realizing I was now open to bad reviews. Like, the offer and seeing it on Publisher’s Marketplace and signing the contract and all of that was amazing, but the real gut Oh my God, this is happening came with the bad review realization. Jaye Robin: Honestly? It still feels surreal. But I suppose all the official things —signing a contract, getting an advance check, programming a Harper Collins’ editor’s phone number into my cell phone—all work towards making it feel like it will eventually happen. I’m supposed to receive cover art in the next month or so, now that will be a milestone! Dahlia: Oh, God, everything, pretty much. Mostly of letting people inside my head, I think. Not strangers—strangers are welcome!—but family, close friends… anyone who’s ever watched me kinda space out, writing in my head, or say no to plans because I have deadlines to make. I want them to read it and go “Ooookay, now I get it,” not, “Really? This is why she bailed on my party?” Writing is this thing everyone who loves me just assumes I’m good at, because I love it. But while passion and skill are both important, they aren’t the same thing. Having something out in the world will allow people to decide whether I only possess the former. It’s unnerving to think about. I’m trying not to! 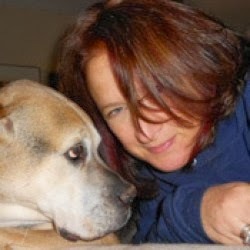 Jaye Robin: Readers not connecting with my book. What is the one thing you’re most excited about? Dahlia: Just seeing the thing. On a shelf. Preferably not my own. I imagine it’s miraculous. 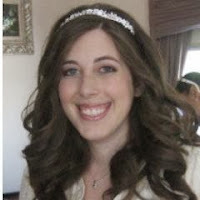 Jaye Robin: Readers connecting with Amber and her dreams! What would tell your “before the book deal” self? Dahlia: A lot of the “after” stuff is going to be like the “before”—a ton of hard work, and a ton of waiting. Only now, you have the pressure of having people invested in you, financially and otherwise. Appreciate this period right now when you’re only accountable to yourself. Jaye Robin: Practice patience. And keep in mind that, to your editor, the manuscript you sweated and toiled over and had multiple beta readers and agent eyes on, is only a first draft. You’re starting from go again in many ways. Embrace it. What advice would you give those who are in the middle of the querying/submission process? That said, if you do want to get published, don’t give up. It may be annoying to hear “Write something new!” or heartbreaking to realize it’s time to put that manuscript you love on a shelf, but the reality is, writing something new is always going to be part of being an author. Knowing when something doesn’t work right now? Always going to be part of being an author. And rejection? Always going to be part of being an author. So yeah, it pays to get accustomed to that early, and just keep going! Jaye Robin: Work on other projects. Get invested in a new story. That way, if things don’t work out ideally, you’re not standing empty-handed! Always, always keep writing. Dahlia Adler's Behind the Scenes will be released June 24, 2014, by Spencer Hill Contemporary. You should also follow her on Twitter because she's awesome, wears many hats (including a tiara), and dispenses wise advice. Jaye Robin Brown's No Place To Fall will be out Fall 2014 with Harper Teen. You should follow her on Twitter because she is phenomenal, loves dogs (just look at that face), and is up early with the 5 AM writers' club! Love this interview, ladies! Can't wait for BOTH of your books, and I will definitely be bookmarking this to read once I start freaking out. So glad to have you paving the way! Great interview and fantastic suggestions. Thank you all and 2014 is going to be one heck of a good year for readers! What a terrific interview, loaded with good advice. Best of luck to both of you. I can't wait to read your books. Thanks so much, everyone! And thanks, Sarah, for having us! Yes! Thanks Sarah! I feel so honored to be answering with Dahlia!